What is being studied? Dr. Natalia Kleinhans, an associate professor of radiology, is leading a team of researchers from the University of Washington to better understand the effects of marijuana use during pregnancy on babies’ brain development. Currently, there is little to no research focused on women who use marijuana primarily to alleviate symptoms using modern marijuana strains. The information gained in this study will lead to advancements in our understanding of whether marijuana use during pregnancy has an effect on baby’s brain development, and if so, what those effects are. Who can participate? There are two stages of this study: the Prenatal Stage and the Postnatal Stage. The Prenatal Stage participants are pregnant women, 21-34 years-old, who have been using marijuana during their pregnancy. 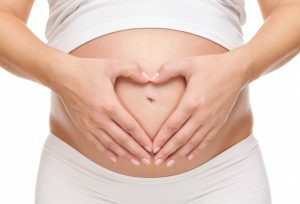 -Or did not use any medications during pregnancy (anti-nausea medications are OK). What does study participation involve? The Prenatal Stage involves two visits to the University of Washington Integrated Brain Imaging Center (IBIC), which is part of the UW Medical Center. The first visit is at the beginning of participation and the second is at ~38 weeks of your pregnancy. These visits involve urine-based drug tests and questionnaires. After your first visit, and until the end of your pregnancy, you will fill out online daily diaries documenting your use of marijuana products and any other substances using our secure data collection tools. All information that you provide as part of this study is kept confidential. The Postnatal Stage involves one visit to the University of Washington’s Bio-Molecular Imaging Center (BMIC) located in South Lake Union, as well as a pre-visit phone interview. Visit activities include a series of questionnaires and an MRI brain scan for your baby. During the brain scan, your baby will be sleeping. Our MRI scan does not involve any radiation and there are no known harmful effects at this time. How will I benefit from participating? Pregnant women will earn up to $100 for completing all parts of the Prenatal Stage. Mothers with 3-12 month-old babies in the Postnatal Stage will earn up to $100 and get to see a picture of their baby’s brain. Where and when does the study take place? Prenatal Stage study activities will take place at IBIC at a time that is convenient with your schedule (limited to Monday-Friday). Postnatal Stage study activities will take place in the evening at BMIC. We will schedule your visits at a time that is convenient for you and also when it would be easiest to get your baby to fall asleep for the MRI scan.